Sell a House Fast In the Sacramento Area or Northern, CA. Serving Sacramento as a Realtor and General Engineering Contractor for 25 Years! We buy houses in the Sacramento Area and around Northern California. Let us make a fair all-cash offer on your house. Need To Sell Your Sacramento House Fast? General Engineering Contractor for 25 years! We Buy Houses Anywhere In Sacramento County And The Surrounding Area, And At Any Price. Check Out How Our Process Works. We’re Ready To Give You A Fair Offer For Your House. If you want to sell a house fast in Sacramento and surrounding areas… we’re ready to give you a fair all-cash offer. Stop the frustration of your unwanted property. Let us buy your Sacramento Area house now, regardless of condition. Do You Need To Sell Your House in Sacramento? Even if an agent can’t sell your house, we can help. (Sometimes selling a house through a real estate agent is not for everyone.) And as a bonus, you won’t need to clean up and repair the property, finding an agent who you trust and who can deliver on their promise of selling your house quickly, you won’t have to sign a contract that binds you to an agent for a certain term, you won’t have to deal with the paperwork and the waiting and wondering (and hoping). We’ll know very quickly if we can help you sell your house fast Sacramento, and unlike selling through an agent, you don’t have to wait to see if the buyer can get financing… we’re ready to buy right now! We help property owners just like you, in all kinds of situations. From divorce, foreclosure, death of a family member, burdensome rental property, and all kinds of other situations. 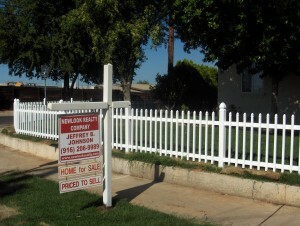 We buy houses in Sacramento and surrounding areas and pay a fair cash price, fast. Sometimes, those who own property simply have lives that are too busy to take the time to do all of things that typically need to be done to prepare a house to sell on the market… if that describes you, just let us know about the property you’d like to be rid of and sell your house fast for cash. If you simply don’t want to put up with the hassle of owning that house any longer, and if you don’t want to put up with the hassle and time-consuming expense of selling your property the traditional way, let us know about the property you’d like to be rid of and sell your house fast for cash. Talk to someone in our office before submitting your property information by calling us today at 916-943-4161. From the moment we started the process, Jeff was courteous, helpful, and completely knowledgeable about the whole process I felt comfortable and in good hands from day one. It was a smooth process, everything went fabulously and we were very satisfied. Jeff helped me sell a rental home that needed a lot of work. It wasn’t eligible for a loan because it needed so much work. He found a buyer and arranged a seller carryback note, and the sale closed. I have worked as Jeff’s lender for several years. He is the consummate professional, puts his clients first and always takes a team approach to real estate transactions. I highly recommend him for your real estate needs. He made it easy, uncomplicated, and possible for us to buy our first home. On every year’s anniversary of the purchase of our home we think fondly of Jeff. 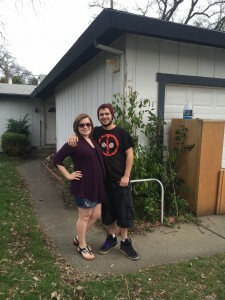 Jeff helped us find our first home after other realtors and lenders didn’t take us seriously. He walked us through the whole process, and was very patient with us. He showed us a lot of homes, and really tried hard on our behalf to get us the best deal. He was always available to answer the phone, and meet with us to look at new homes we were interested in. We asked a lot of questions, and he explained the process thoroughly. We are a real estate solutions and investment firm that specializes in helping homeowners get rid of burdensome houses fast. We are realtors, we are investors and we are problem solvers who can buy your house fast with a fair, all cash offer.